Mövenpick Hotels & Resorts is ramping up its presence in Egypt, revealing plans to add a new modern integrated beach and golf resort to its portfolio of 16 hotels and river cruisers. The Swiss-based global hospitality group has inked an agreement with Galalah Co For Touristic Investments S.A.E. to manage the 214-key Mövenpick Hotel El Ein Bay, its second property in the popular coastal area of El Sokhna. The first, Mövenpick Resort El Sokhna, is owned by a sister firm of Galalah Co.
Often referred to as ‘Cairo Beach’, El Sokhna is the closest seaside destination to the Egyptian capital and has also carved a niche as a top regional golf location. The new contemporary resort will boast stunning views of a world-class 18-hole golf course. Mahmoud El Gammal, chairman of Galalah Co, said: “El Sokhna is one of Egypt’s leading tourism destinations and an emerging hub for golf, meetings and events. 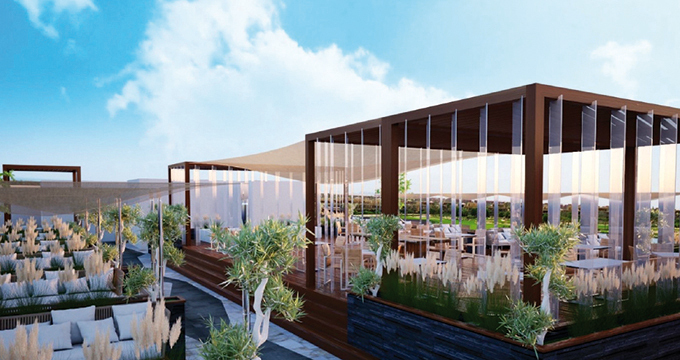 Mövenpick Hotel El Ein Bay aims to capitalise on this potential. 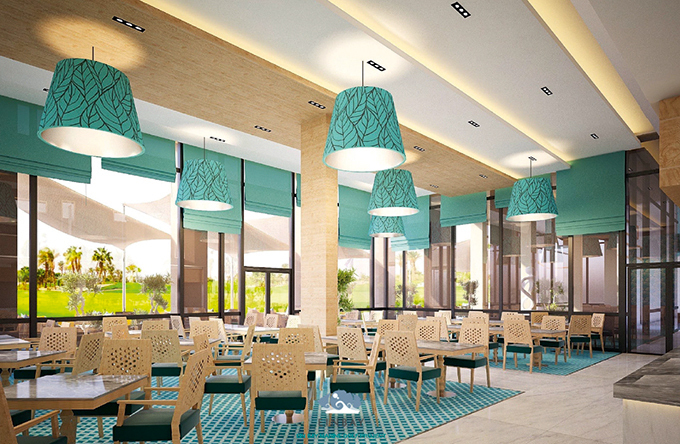 Set to open in 2020, Mövenpick Hotel El Ein Bay confirms Mövenpick Hotels & Resorts’ ongoing commitment to Egypt, where it already operates eight properties and eight Nile cruisers. The new hotel is envisaged as a chic and contemporary resort with 214 rooms and suites; five dining options, including a specialty restaurant and a rooftop lounge; meeting and event space spanning more than 1,000 sqm; a large swimming pool; and an extensive spa and fitness facility. Andrew Langdon, chief development officer, Mövenpick Hotels & Resorts, said: “As we accelerate our expansion in the Middle East and North Africa, Egypt is one of the key growth markets we are targeting and signing this new property in the stunning El Sokhna area not only confirms our long-term commitment to the country, but consolidates our position as a leading hospitality firm in the region. In addition to El Sokhna, Mövenpick Hotels & Resorts’ Egypt portfolio includes properties in Aswan, Cairo, El Gouna, El Quseir, Sharm El Sheikh, Soma Bay and Taba. The company is currently pursuing rapid expansion, with plans to operate 125 properties globally by 2020.